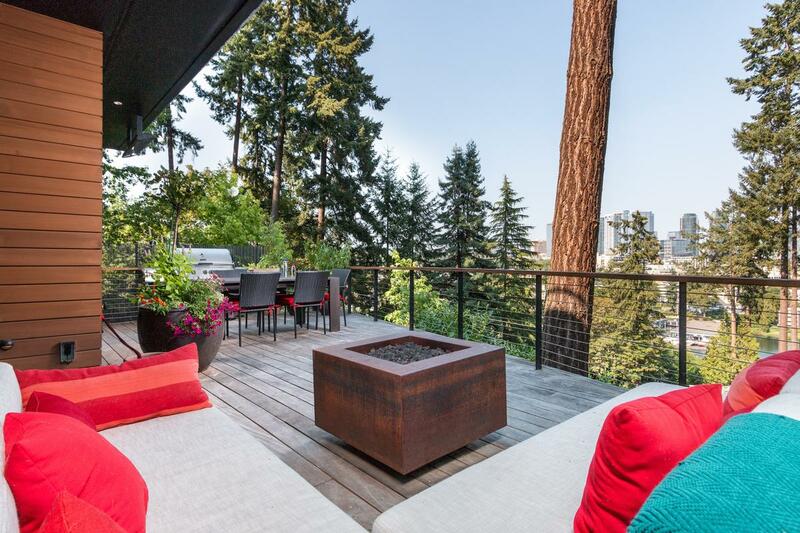 This modern home is accessible to downtown Bellevue yet surrounded by the serenity that only nature can provide. Waterfalls, streams and mature landscape encompass the entire property which combines stellar views with unparalleled privacy. 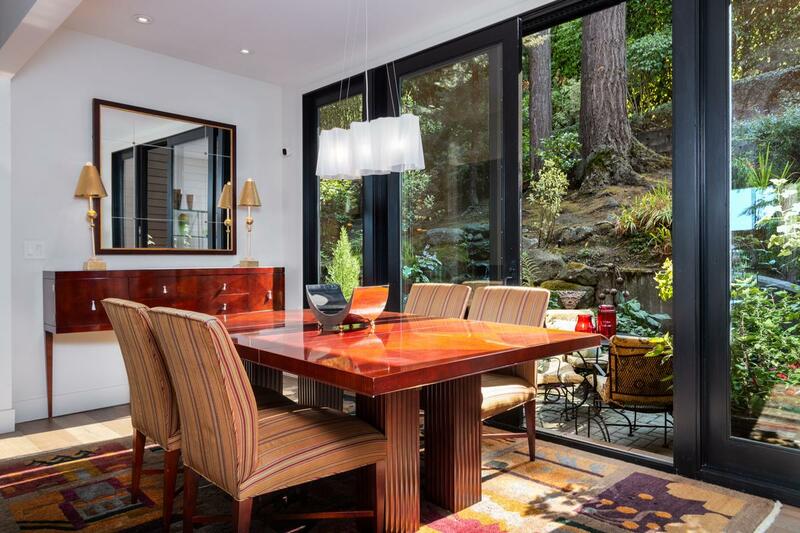 Designed by renowned McClellan Architects, this turn-key, 2016 remodel left no detail overlooked. 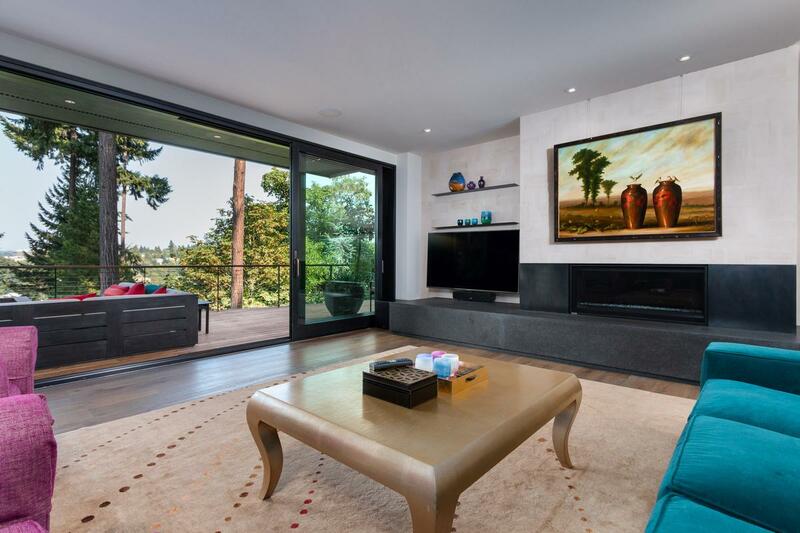 Custom Venetian plaster fireplace surrounds, dual stairways with, movie style, floor lighting, unlimited built-ins, air conditioning and 1,423 square feet of exceptionally thought out decks including a rooftop oasis. 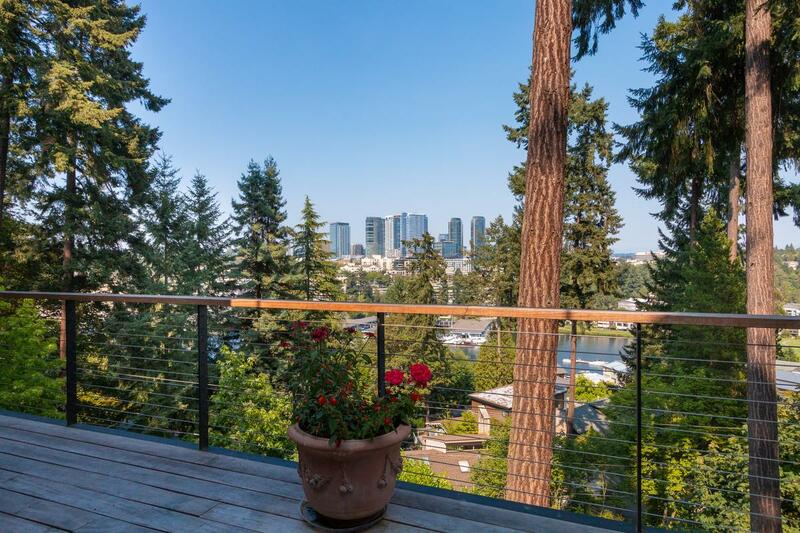 Immediately upon entering the main floor two-story entry, you’ll be inspired by striking native tree framed scenes of the downtown Bellevue skyline, lake Washington’s Meydenbauer Bay and the Cascade mountain range. Prepare to entertain as you savor views from every generously sun-drenched glass window and door. 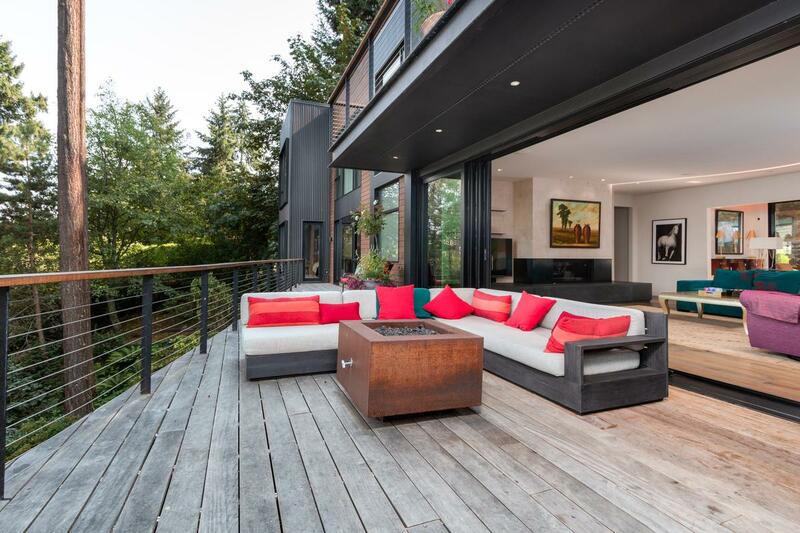 Massive full-length stacking glass doors open to one of three expansive decks. The entertainment-driven floor plan flows seamlessly, room to room, inside to out, blurring the lines between form and function offering the perfect venue for lively gatherings and quiet evenings spent fireside. 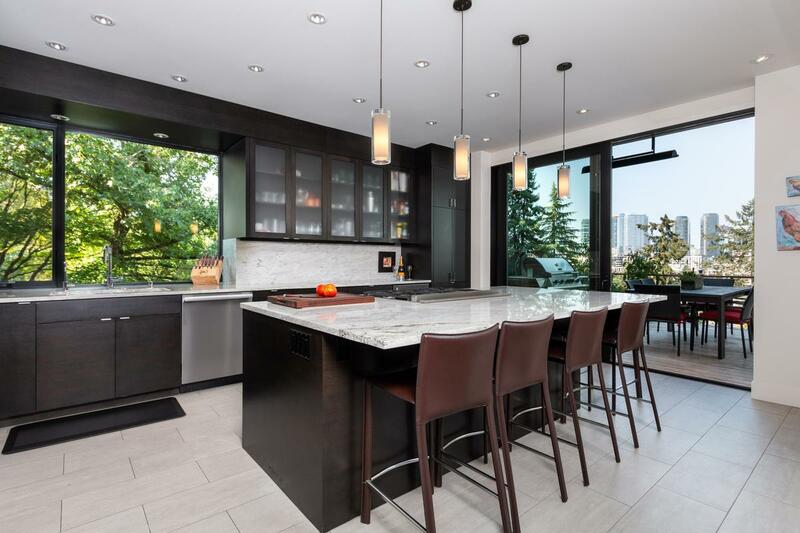 The state-of-the-art modern kitchen will bring out your inner chef and inspire you to greatness equipped with high-end stainless-steel Miele appliances, six burner gas range, double ovens, 60-inch Thermador Refrigerator, granite, oversized island and more. There is an alfresco bistro style patio off the dining area.Two bedrooms (one en-suite) and powder room complement the main floor living. Retreat to the upper floor and your own spacious resort-style spa master suite en-suite with European wet room, floor to ceiling views, and an additional deck. 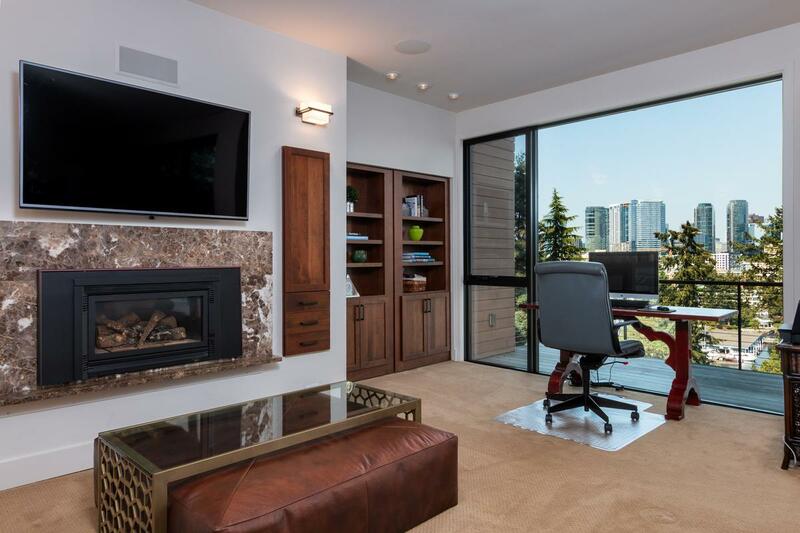 Work in the office or enjoy the great room/game room, with a breakfast/wet bar and nearby powder room. The nursery/office off the master leads to a rear bedroom with a dedicated full bathroom and separate entrance. 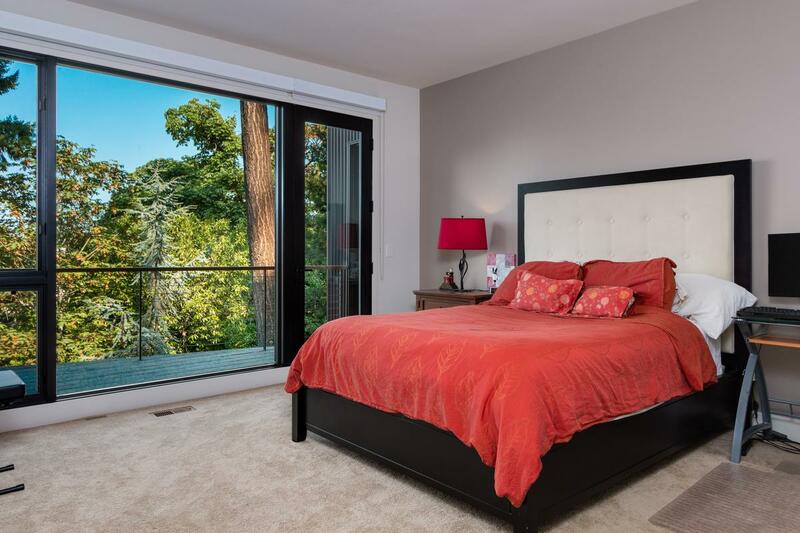 There is a completely finished daylight basement with access to covered patio, includes bedroom with private access, media room full bathroom, and mudroom with flexibility for guests and residents alike. 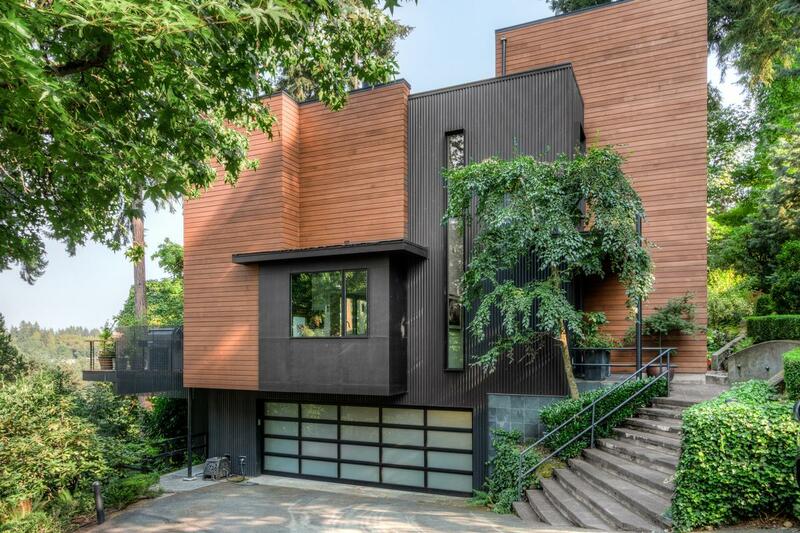 This modern, quiet, urban retreat is listed for $3.88 million with Windermere Real Estate, an affiliate of Luxury Portfolio International.